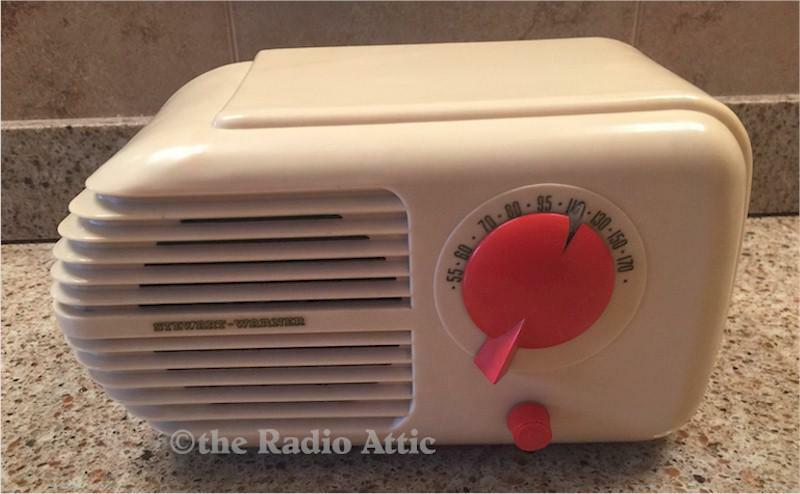 Solid ivory Plaskon bullet shaped radio in excellent condition. The radio does not work. There is a slight hairline fracture on the top louver on the right side.